Fertility centers freeze human embryos and eggs for individuals and couples who want children in the future. 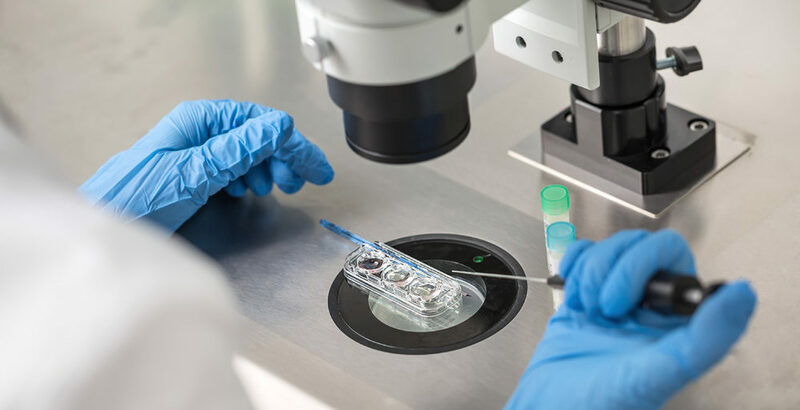 Unfortunately, recent increases in storage failure have not only damaged the viability of many embryos and eggs, but destroyed some couples' dreams for a family. The Pacific Fertility Center in San Francisco, CA recently announced a tragic malfunction in one of its cryogenic storage tanks housing hundreds of human eggs and embryos. Liquid nitrogen levels in the malfunctioning tank dropped to a critical level, raising the tank's temperature to a degree that may have damaged the viability of many of the stored eggs and embryos. CBS News reports more about the Pacific Fertility Center incident here. The incident at Pacific Fertility Center comes on the heels of another cryogenic storage tank malfunction at the University Hospitals Fertility Center in Cleveland, Ohio, where close to 2,000 eggs and embryos were potentially affected. At least three couples whose frozen embryos were destroyed filed a civil lawsuit against the fertility center. Newsweek reports more about the University Hospitals incident here. Experts have described these recent failure rates as unprecedented. The sudden uptick in similar malfunctions may indicate the need for more stringent oversight or policies concerning how embryos and eggs are preserved and protected. To understand how cryogenic storage tanks could fail, it's important to understand how they work. Cryogenic storage tanks preserve the viability of human embryos and eggs for couples or individuals until they're ready to have a child. These cylindrical tanks are built of stainless steel with thick insulation around the interior. Cryogenic storage tanks preserve embryos and eggs by holding them below -320 degrees Fahrenheit using liquid nitrogen. Unlike refrigeration units, cryogenic storage tanks do not require electricity, only liquid nitrogen. The liquid nitrogen evaporates even when the tank's lid is sealed shut, so the liquid nitrogen level has to be constantly replenished. Why Do Cryogenic Storage Tanks Fail? According to fertility experts, it's puzzling how the storage tanks at the Pacific Fertility Center and University Hospitals could just fail. Cryogenic storage tanks can be built with automatic refill functions to ensure the embryos and eggs are constantly submerged in liquid nitrogen and preserved at the correct temperature. Even if the lid was removed, it would take about two weeks for all the liquid nitrogen to evaporate. Human supervision would likely catch any dangerous drops in liquid nitrogen level. Each frozen embryo and egg damaged or lost in these incidents is tragic. Many individuals, couples, and families trust these fertility facilities to protect their chances for a family in the future. The embryo and egg preservation procedures cost thousands of dollars, but the monetary loss pales in comparison to these people's lost hopes and chances of having children. A family who lost a frozen embryo in the University Hospitals incident describes how the loss has affected them and why they're filing a lawsuit. Due to a health condition, the couple can no longer undergo further in vitro fertilization treatments, and the frozen embryo was their last hope to give their young son a sibling. If you have experienced a loss due to failure of a cryogenic storage tank at a fertility center and would like to explore your legal options, click here.